It is now officially autumn and many people take long weekends sometimes to view the change of color in the trees, or for some just to relax and enjoy cooler weather. 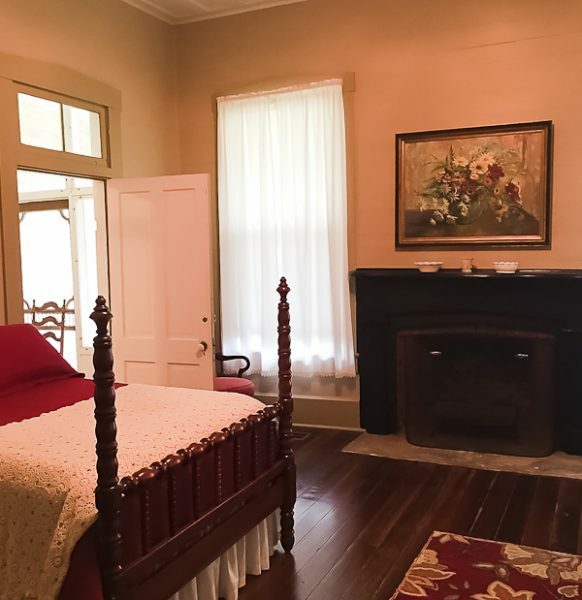 If you enjoy staying in quaint and historical bed and breakfast inns, I have one for you if are traveling in the Deep South and also happen to be near Jackson, Mississippi. 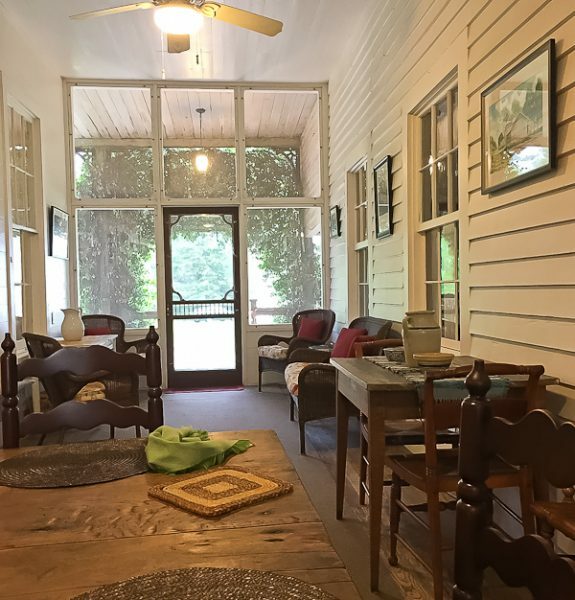 Less than twenty miles from Jackson in the cozy town of Raymond and next to the Natchez Trace Parkway is Mamie’s Cottage Bed and Breakfast on the grounds of the historic Dupree House. Back in 1877, Dr. H.T.T. 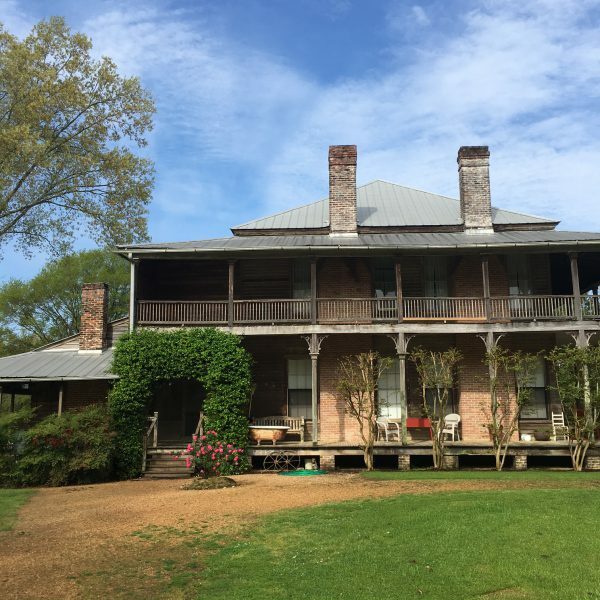 Dupree traded his house in Raymond for 1,100 acres of land five miles west which included a three room structure built in 1850. The year after Dr. Dupree bought the land and structure, he turned it into the 2-story dwelling you see above, known today as Dupree House. 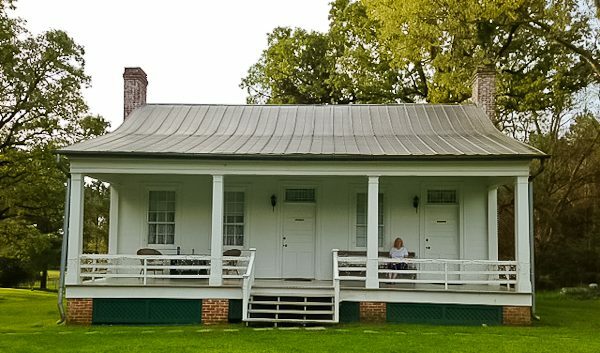 The beautiful two-tiered veranda wraps around three sides. The spacious interior is noteworthy for its Greek Revival moldings, built-in china cabinets, paneled ceilings, and original mantelpieces. During the 19th century, the property was recognized as one of the finest mills, with a grist mill and saw mill. Dr. Dupree lived in the house with his wife and four children, and a daughter they adopted named Mamie. After the doctor died in 1909, Mrs. Dupree and Mamie moved to a little cottage in Raymond, located right next to the Methodist church. 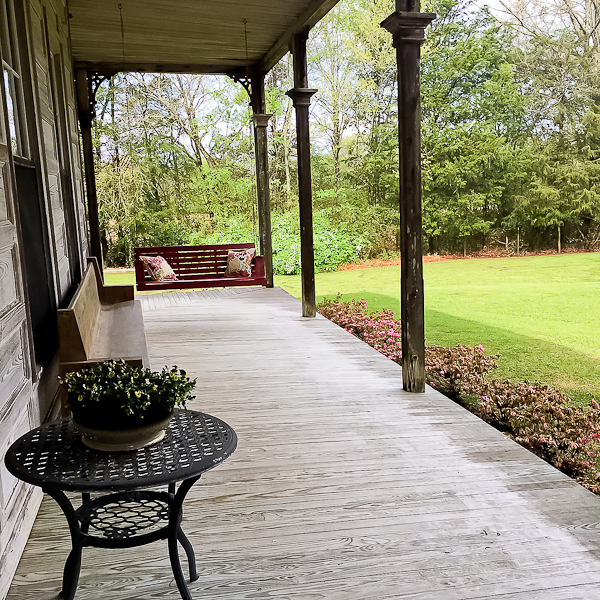 When Mrs. Dupree died in 1932, Mamie inherited the cottage and lived there until she died in 1975 at age 90. When the Methodist church decided to expand the building, there was no room for the cottage. This was when the current owners of the Dupree House, Charles and Brenda Davis, decided to move the cottage back to the property where the Dupree House stands. 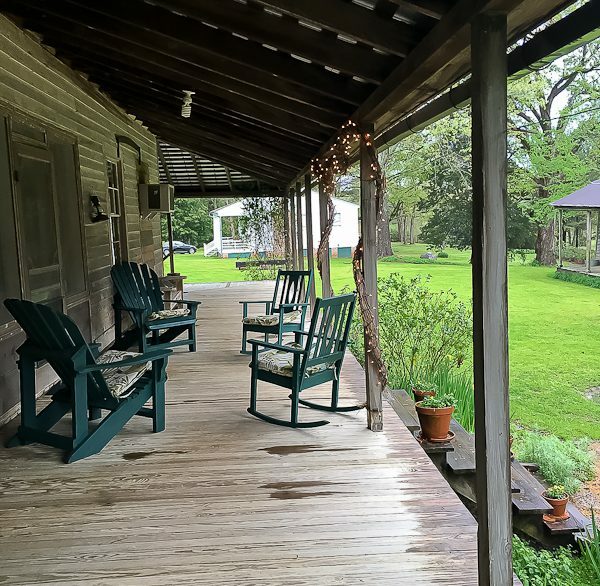 It is the cottage that is the guest house for the Bed and Breakfast, which is just a few steps from the Dupree House, both of which are listed on the National Register of Historic Places. This is the cottage which may seem small but the two guest suites available are surprisingly large and cozy. 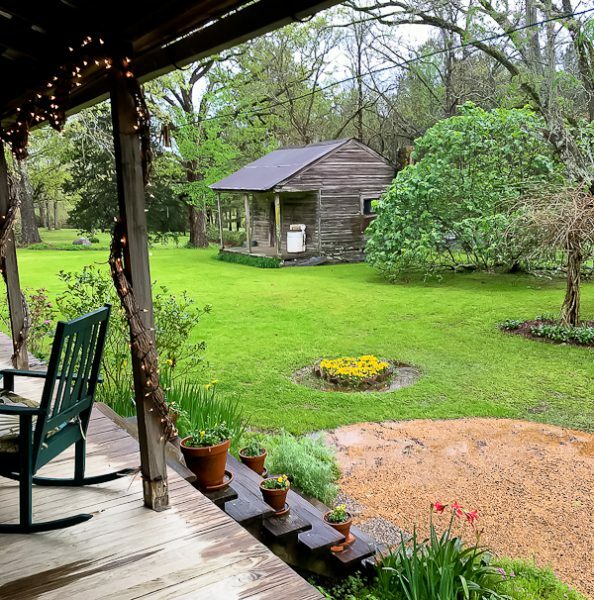 This quaint 1840’s cottage won an Award of Merit from the Mississippi Heritage Trust for its restoration. Each guest suite has a large bedroom and an adjoining smaller one by the bathroom. They both have lovely fireplaces fronted by finely detailed Greek Revival and Federal-influenced mantelpieces in a comfortable sitting area. Features include a porch, deck, TV’s, small refrigerator, and coffee maker. 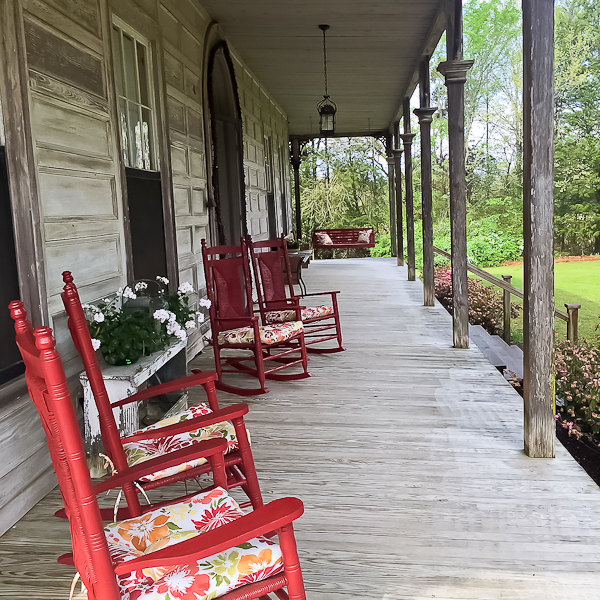 As with Southern homes, porches are large and inviting. The little shack was once used as the laundry house. The main entrance into the house opens into a long hallway and goes all the way into the back yard. Off to the left near the center of the hallway is the original kitchen with all kinds of interesting gadgets and tableware. 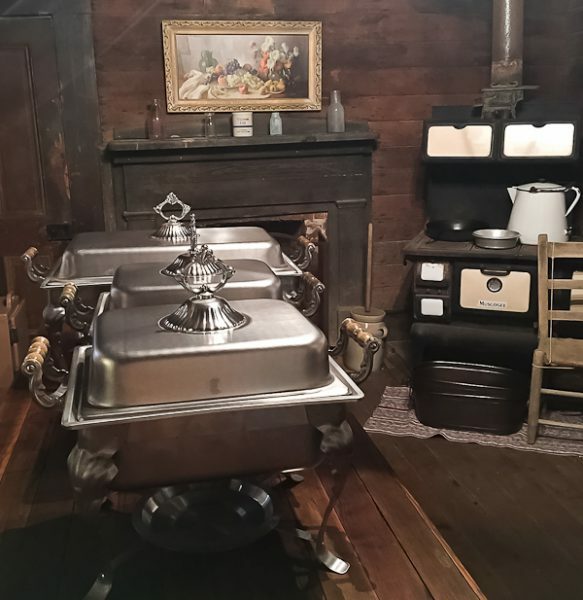 My favorite items were those incredible silver chafing dishes. 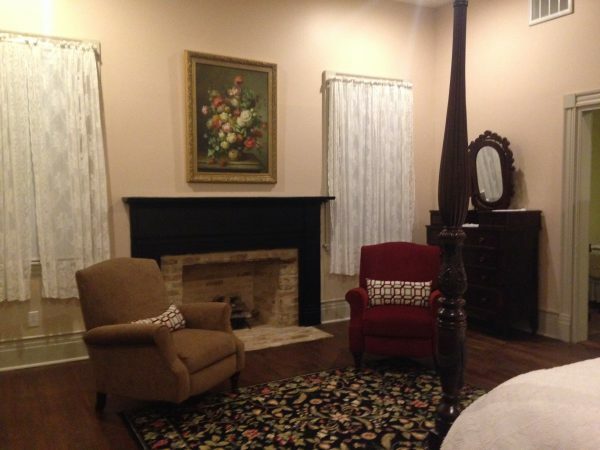 There are additional bedrooms upstairs, but here is the downstairs bedroom. There are so many stories to reveal about this historic home, but I couldn’t begin to tell them as well as owner Brenda. She is like a walking encyclopedia! In addition to running the Bed and Breakfast with husband Charles, Brenda is the curator at the Mississippi State Capitol. 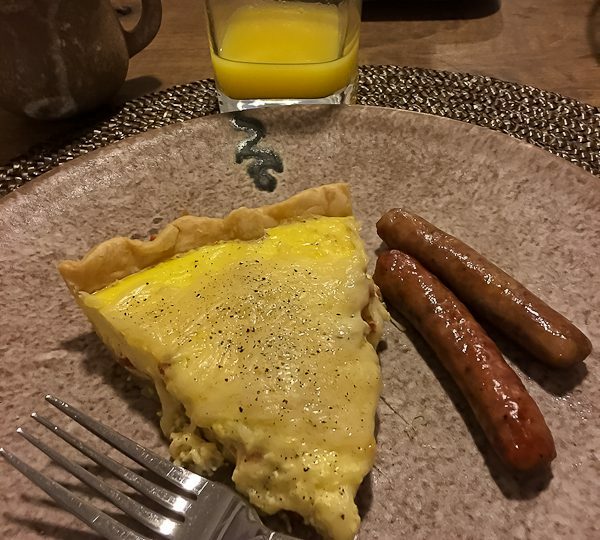 Quiche and sausage with orange juice. Notice the squiggly dark line embedded on the dish below the juice glass. The dishes are made locally from the famous McCarty Pottery, and that squiggly line represents the mighty Mississippi River! I urge you to go read the fascinating history of this pottery. I would love to have some of these dishes. 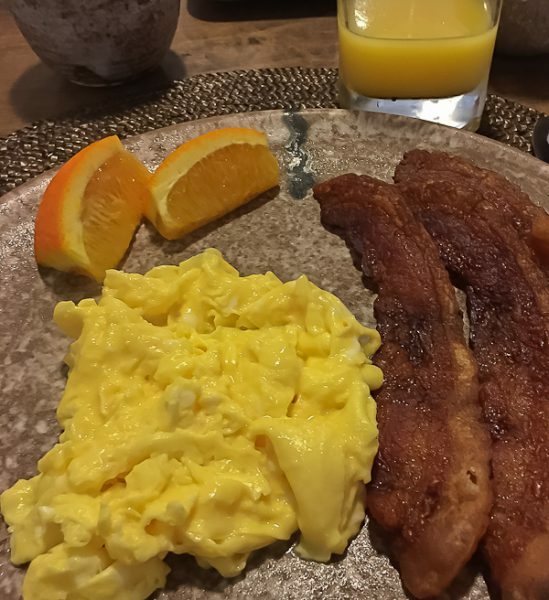 Soft scrambled eggs and perfectly cooked bacon. 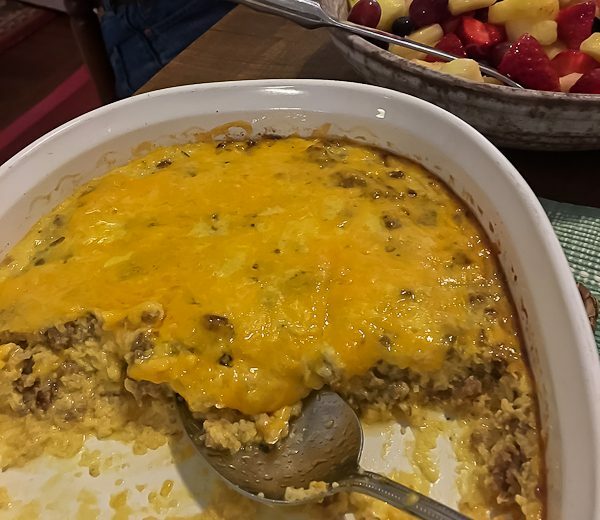 Must have a cheesy sausage-filled Southern casserole! 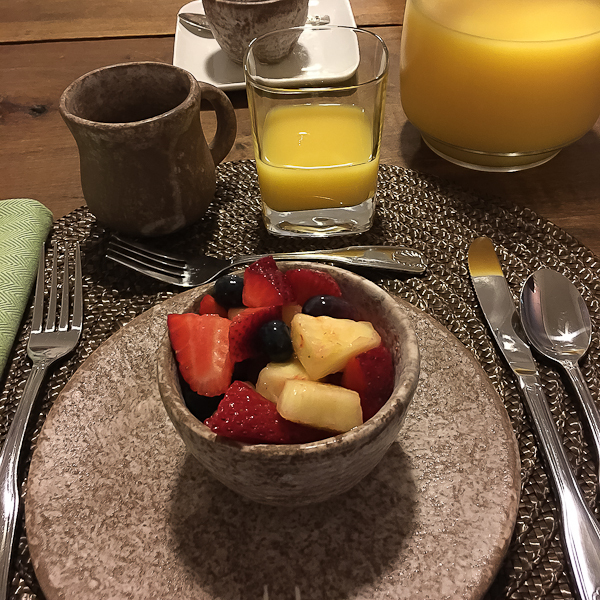 Fresh fruit, juice, and coffee. More of the pottery too! 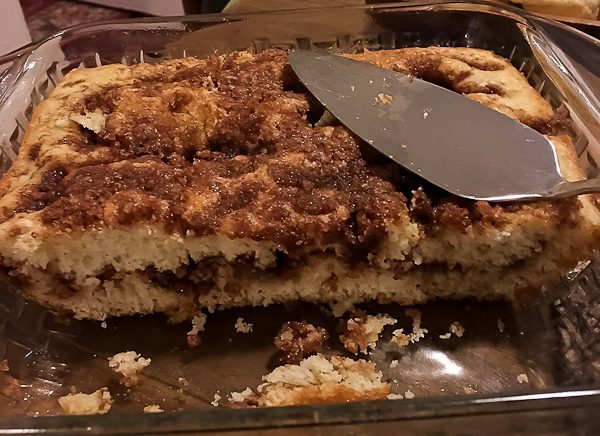 Rich and buttery coffee cake! 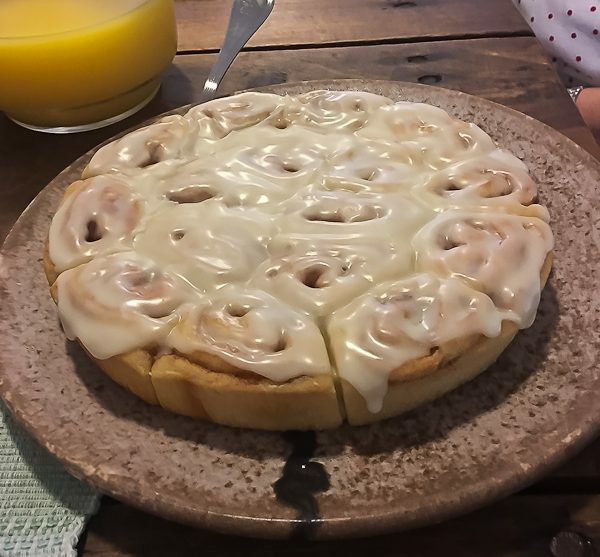 Brenda says these sour cream pancakes are one of her most requested recipes and she was kind enough to let me share the recipe with you. Here’s the recipe, but why not take a weekend this fall (or anytime!) and stay at this lovely historic place with an abundance of Southern hospitality and have Brenda serve you? Sift dry ingredients together in mixing bowl. In a small bowl beat together egg and sour cream, then add milk. Add wet ingredients to dry ingredients and gently blend well. Let mixture stand for a few minutes before cooking on a lightly oiled hot griddle. Makes 6-8 pancakes, depending on size. Pancakes will be lighter if you allow the wet ingredients to come closer to room temperature and not use straight from the refrigerator. 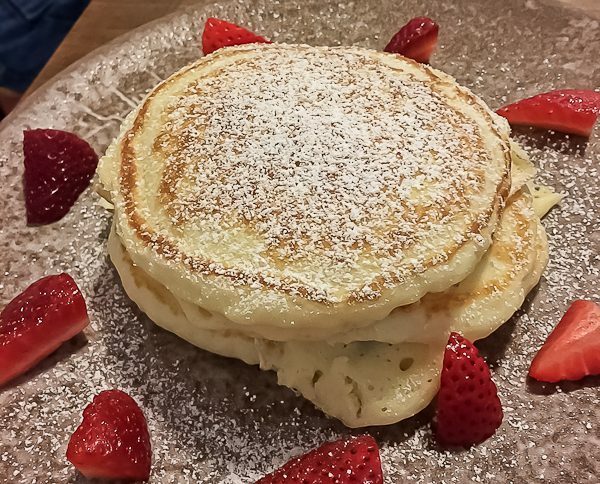 For a thicker pancake, use a little less milk in the wet ingredients. To serve, sprinkle with powdered sugar and serve with fresh fruit. Blueberries can be added to the pancake batter, if desired; or mashed bananas can be added to batter and then garnished with toasted walnuts on the cooked pancakes. This place looks amazing!!! Will have to put it on my list of places to see! 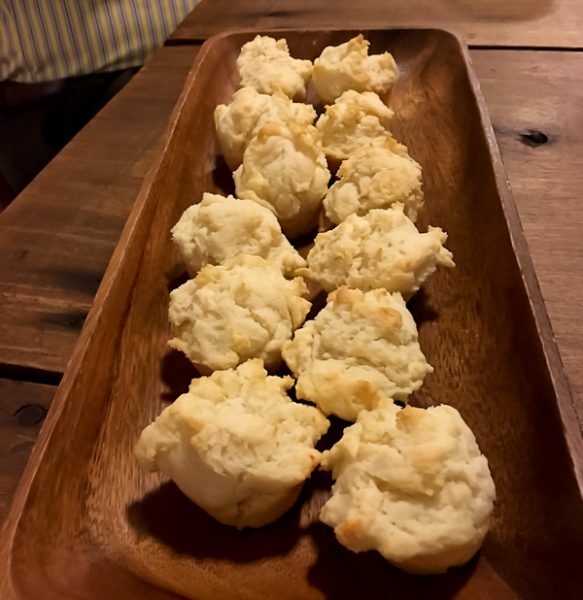 Thanks for sharing and thanks for the recipe!! Absolutely delightful! 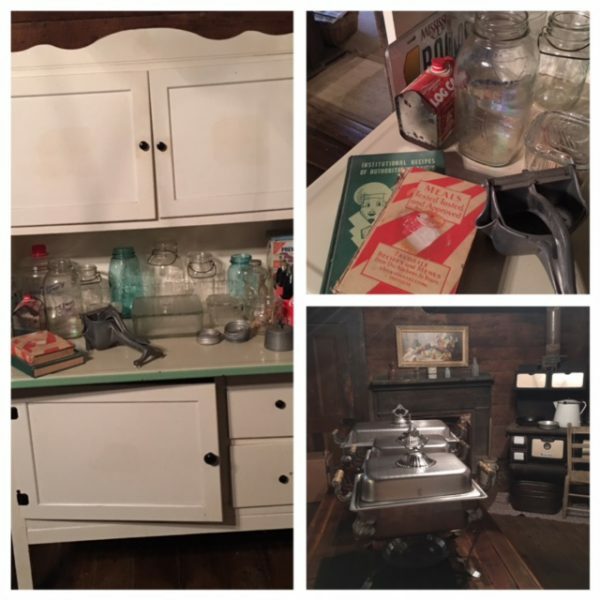 Would love to spend a weekend there exploring and learning all about this historic home. The grounds look lovely, too. A perfect get away place. 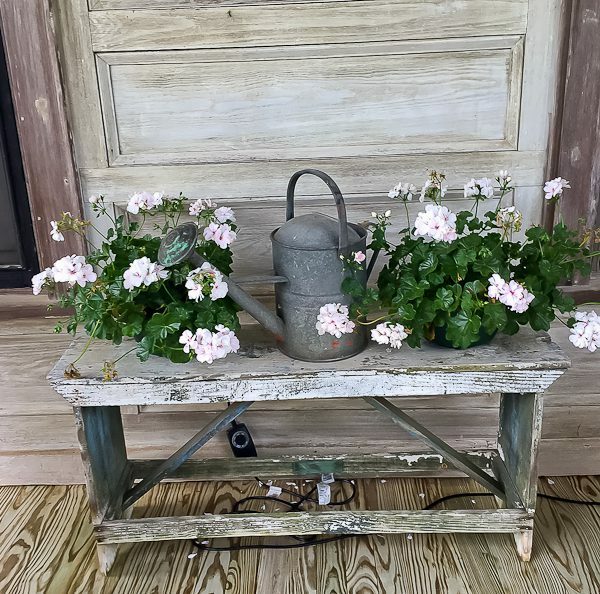 I hope to go someday and I will share your blog with friends who love visiting the South regularly. 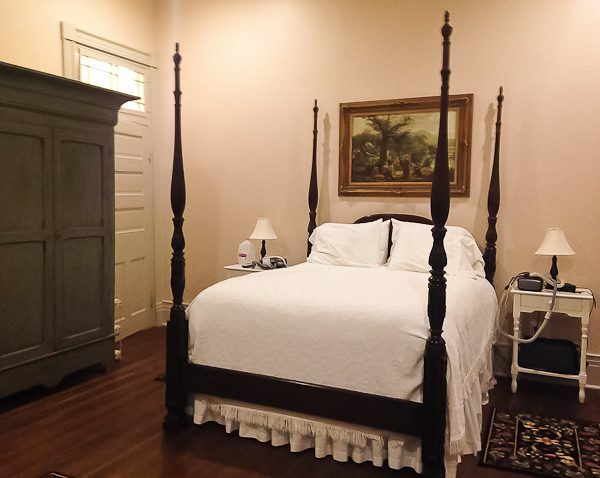 They would really enjoy Mamie’s Cottage Bed and Breakfast! Can’t wait to try Brenda’s pancake recipe. My family truly enjoyed your banana pancakes recipe from a past blog, too. Thanks for sharing.